VIENNA - While there is considerable consensus on which modalities and protocols to use to diagnose dementia, few neuroradiologists feel comfortable using advanced imaging, structured reports, or visual rating scales, according to survey results from the European Society of Neuroradiology (ESNR) presented on Saturday at ECR 2018. The lack of enthusiasm for some of these diagnostic tools is because they are perceived as being too time-consuming, they are not available, or some clinicians simply do not feel confident in using them. The ESNR plans to take this feedback and address current and future challenges to diagnosing dementia. "This survey is our first step toward mapping what is being done in Europe in the field of dementia imaging," said ESNR subcommittee survey member Dr. Meike Vernooij, PhD, a neuroradiologist and assistant professor in radiology and epidemiology at Erasmus University Medical Center in Rotterdam, Netherlands. "We are happy to see that the core imaging protocol is quite homogeneous, but still there are differences and some people do not feel comfortable using visual rating scales and in using structured reporting." The initiative began in 2016 when the ESNR's working group on dementia created a survey of 45 questions to investigate how brain imaging is used in clinical practice throughout Europe to diagnose suspected cases of dementia. The questionnaire was sent to more than 6,000 ESNR members and associates, who were asked to respond online between May and July 2017. The survey posed multiple-choice, single-best-choice, and free-text questions about the respondent's work setting; which modality is used to acquire the images; modality protocols; if automated segmentation is utilized; what information is reported to clinicians; and how that information is communicated. Once the researchers excluded replies from the same institutions, they had received a total of 193 responses (3%) from 28 European countries. Most of the returns came from the U.K., the Netherlands, and Spain, with neuroradiologists accounting for 75% of the replies, followed by general radiologists at 12% and neuroradiologists-in-training at 11%. In addition, 60% of respondents worked in an academic setting, with 34% of the surveys coming from a hospital and 14% from private practice. The total is more than 100% because of some overlap in the settings. Among those imaging centers, 48% of respondents perform one to five scans per week on patients suspected of having dementia, while 38% conduct more than five patient exams per week. Most of the imaging centers primarily use MRI (72%) for suspected dementia diagnoses, followed by CT (25%). "The major reasons for using CT over MRI were lower cost of CT and longer wait times for MRI," Vernooij told ECR attendees. As for the use of advanced clinical imaging protocols, the survey revealed that diffusion-weighted MRI, arterial spin-labeled (ASL) MRI, resting-state functional MRI, perfusion imaging, and spectroscopy were among the available options. Most of the facilities, however, do not perform advanced imaging techniques. Most clinicians said they do not request them because they are considered too time-intensive, the sequences are not available, or postprocessing software is not available. "To date, there is no evidence that these advanced imaging techniques will have added value for individual patient diagnoses," Vernooij said. "In that respect, it does not surprise me that people do not use [them]. But there is much research being conducted to try to establish the added value or advantage of using advanced imaging." "It is interesting because a lot of research now is directed into using these advanced sequences to establish better diagnoses and prognoses in patients suspected of dementia," Vernooij added. "So if we want to implement [advanced imaging] in clinical practice, these are the hurdles we will have to face." In other findings, less than a third of respondents (28%) use structured reports for diagnosing or characterizing dementia, with some academic and general practices never using structured reports. "Many people said they do not have the ability to use structured reports in our speech software, they do not find it useful, and it is too time-intensive," she said. While 75% of centers use visual rating scales in reporting, primarily Fazekas and medial temporal lobe atrophy scales, 32% of respondents said they are "not fully confident" in using rating scales. 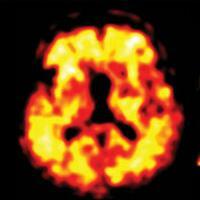 Only 23% of centers extract volumetric information from dementia scans. "Our next step will be to come up with some recommendations for clinical practice and to see if we can incorporate some of these challenges into training programs of ESNR," Vernooij concluded. "The biggest uncertainty, as we expected, lies in the field of advanced imaging. If we want to make that step, we will need to standardize these tools."